Harold was born in Dorking and was baptised on 7 July 1892 at St. Martins Dorking, the family were living at 10 Church Gardens, Dorking. In 1901 Harold was living with his parents Henry and Elizabeth and his sisters in Dorking. His Father was a bricklayer and mother was a laundress. In 1911, he was living with his widowed mother and his sisters at 5 Heath Hill, Dorking, and He worked as a Bakers Assistant. 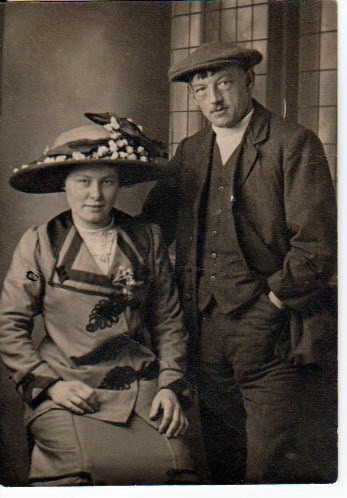 Harold married Emily Grace Knight in November 1914 in Worthing. Harold was Emily’s first husband, they had one daughter also named Emily. The family lived in Worthing. After his death Emily went on to marry again and had a further seven children. Harold had been serving for three years when in 1917 was transferred to No.31 Casualty Clearing Station for Pyrexia (fever).